The diocese of Trivandrum was established by His Holiness Pope Pius XI on July 1, 1937 through the Bull 'In Ora Malabarica.' 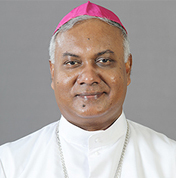 A new diocese of Neyyattinkara was bifurcated from Trivandrum on 14 June, 1996, by His Holiness Pope John Paul II through the Apostolic Bull 'Ad Aptius Provehendum.' 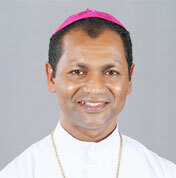 Trivandrum was raised to the status of Archdiocese on 17 June 2004 by His Holiness Pope John Paul II. The dioceses of Quilon, Alleppey, Neyyattinkara and Punaloor are in the Trivandrum Province.